Multipurpose outdoor fabrics are the workhorses of the textile world, endlessly adaptable to a huge range of DIY projects. Phifer’s designer fabrics can be made into so many useful and beautiful things for your home, and since they are all GREENGUARD® Gold Certified for low chemical emissions, they are just as suitable for indoor use as they are for outdoor! Check out the various ways Phifer Designed Fabrics can be used to beautify your home for a variety of projects! 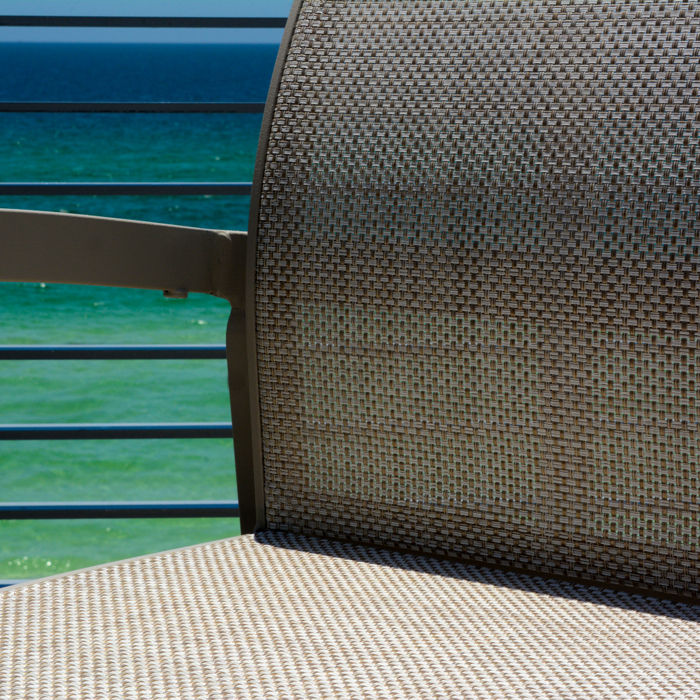 When you need to replace the slings on your patio sling chairs, the Phifertex® line of slingable fabrics offers you the engineered dimensional stability required for sling furniture that won’t sag or tear under the pressure of body weight. With a massive range of sophisticated weaves, colors and designs to choose from, it’s also an attractive way to breathe new life and style into a tired old furniture set. 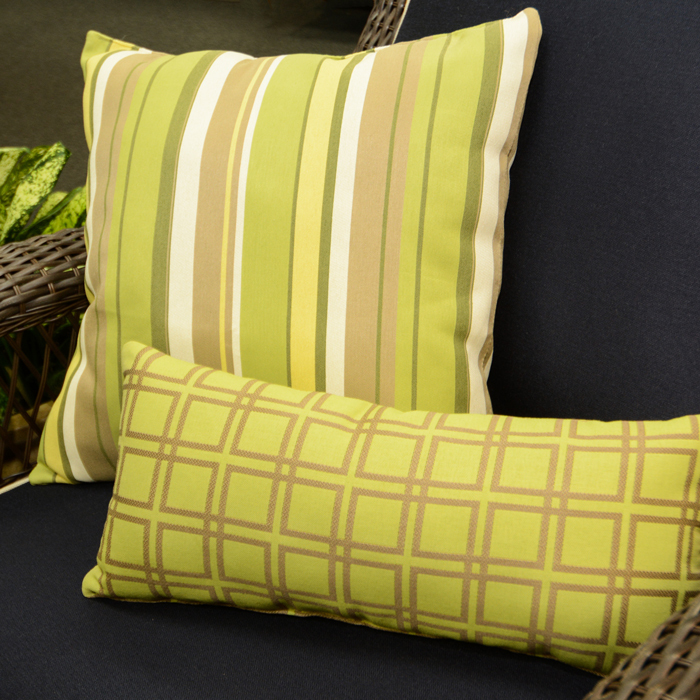 Phifer’s GeoBella® fabric line is woven from 100% olefin yarn, which means it has a gorgeous soft texture ideal for throw pillows and cushions, but also has all the sturdiness you need for outdoor use. For an even more rugged fabric, our Phifertex® PVC/Olefin Blend fabric combines the exceptional strength of vinyl-coated polyester mesh, but with a softer touch. 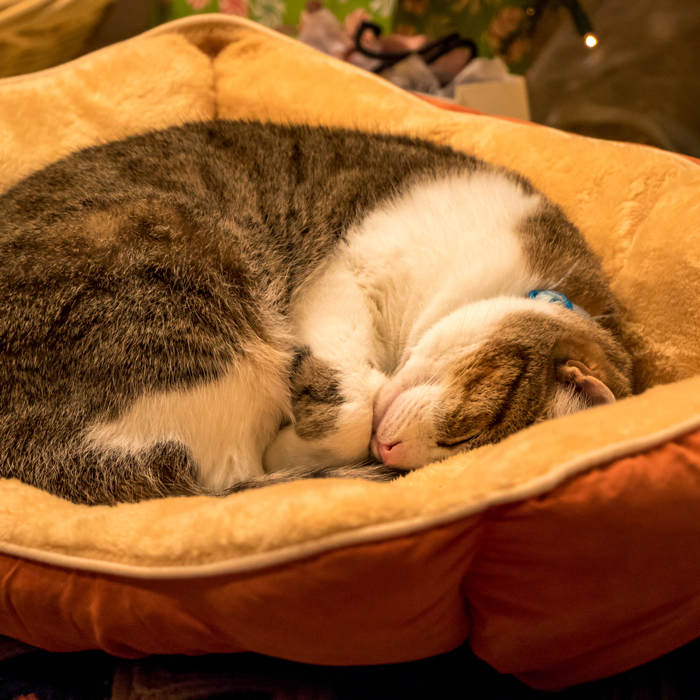 It’s that more plush touch that makes it such a great choice for cushions. 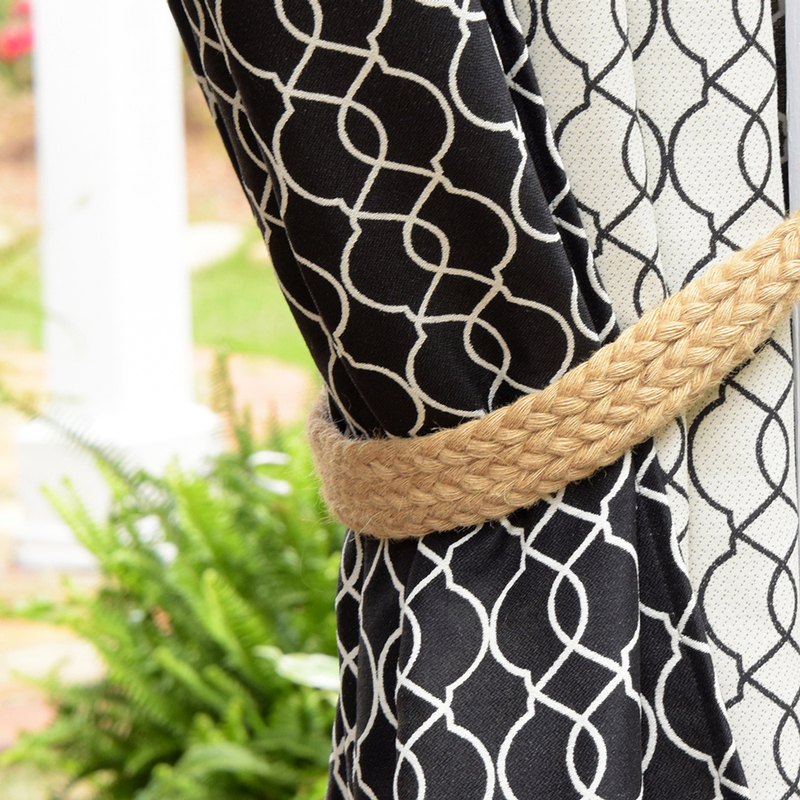 And because it’s a slingable fabric, it’s perfect for creating matching sets of sling chairs and throw pillows! Reupholstering your furniture saves money, keeps bulky items out of the landfill, and gives you total creative control. 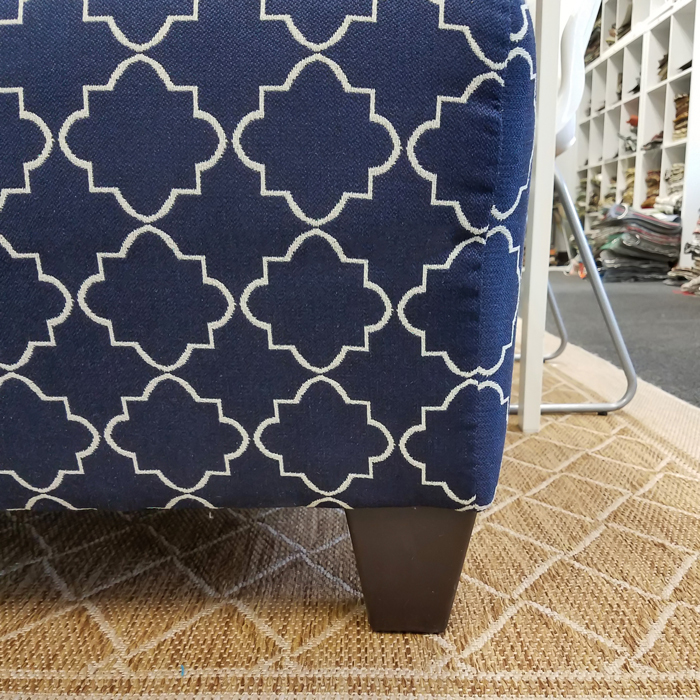 Phifer Designed Fabrics offer a durable alternative to traditional upholstery fabrics, and many of them -- like our GeoBella​ line --can even be used for indoor upholstery projects. Phifer Designed Fabrics are a phenomenal option for any outdoor furniture that needs to stay looking great even with hard use -- something any household with young kids or pets will appreciate. GeoBella​ fabric can be used to create amazing curtains. As an outdoor drapery fabric, it’s hard to beat: it has a soft enough hand to flow well, but is also water resistant, quick to dry, and UV/fade resistant, too. While it’s most commonly used as outdoor curtain fabric, you can also use it inside, especially in rooms that get a lot of sun it will stay looking bright and fresh a lot longer than many conventional indoor curtain fabrics. 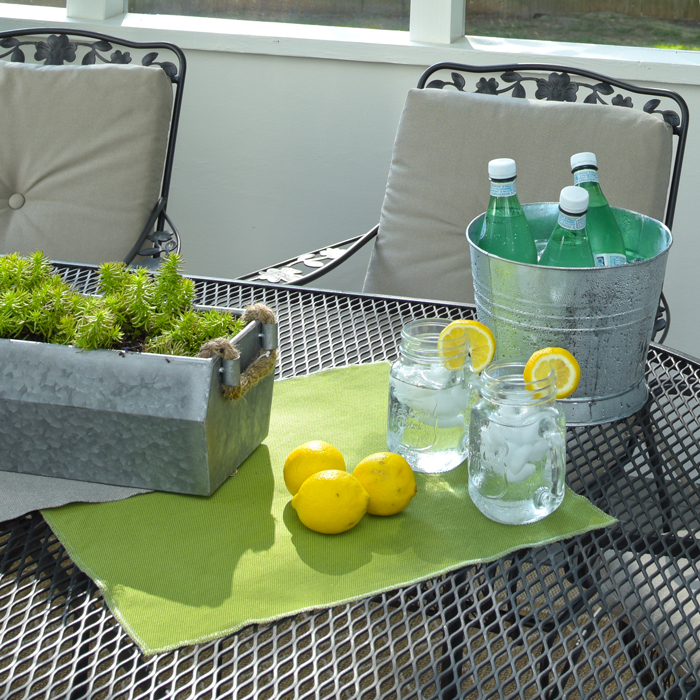 It’s easy to add a splash of color to your outdoor dining with table accessories when you choose the right fabric. The right placemat or tablecloth can also help protect your outdoor table from spills and stains. Water resistant, stain resistant, and easy to clean, Phifertex​ makes an exceptional placemat or table runner material. 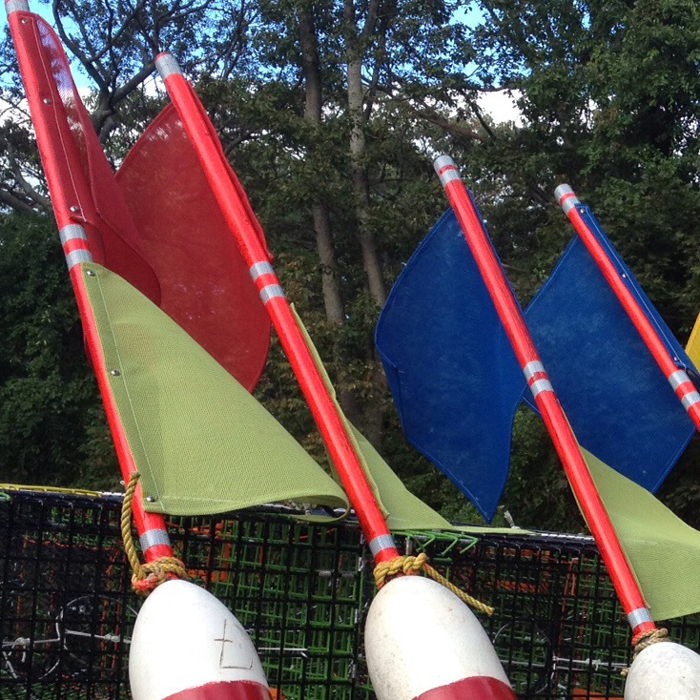 These might be the easiest DIY projects ever. Because Phifertex​ doesn’t fray when cut, you don’t even need to add hems. Just cut and go! And GeoBella​ fabric being soft enough to flow, water resistant and quick to dry, makes for great table cloths or table runners. This is another super-fast and easy DIY project, perfect as a first venture into sewing. 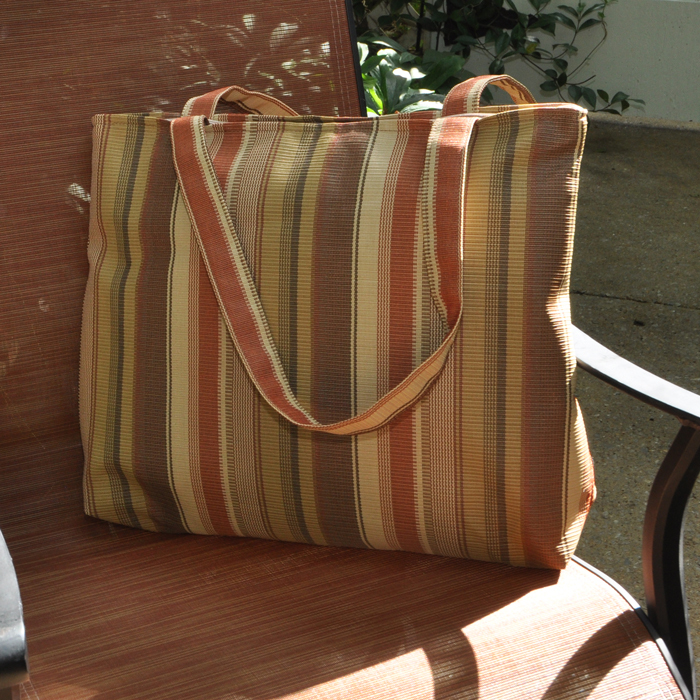 You can whip up a pretty tote bag in an hour to use for grocery shopping or a beach trip. Bonus: Phifertex​ is infused with Microban® protection, an antimicrobial treatment that protects it from mold and mildew. That means it’s ideal for carrying home wet bathing suits without worrying about ending up with a musty bag! Summertime with a backyard pool is amazing, but you need a way to keep small children and babies safe. 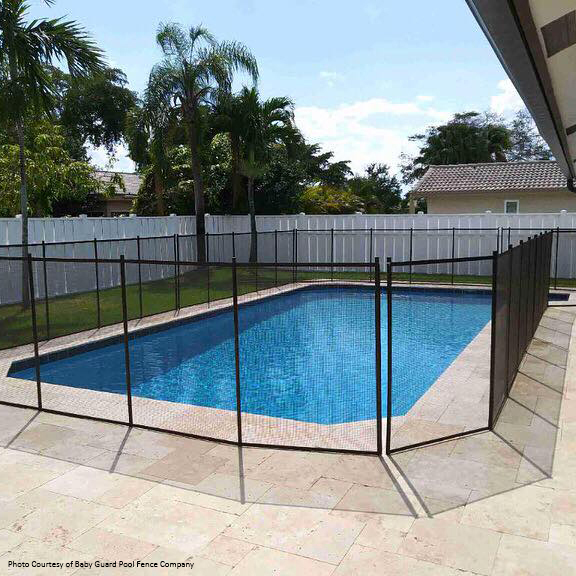 Phifertex​ mesh is a good-looking, durable pool fence material, creating a sturdy barrier around the water’s edge. Use durable Phifertex​ and GeoBella​ designer fabrics to create a custom bed for your precious pet that’s tough enough to endure puppy teething sessions and the“ruff” and tumble dog life. If you need some temporary fencing that’s easy to put up and take down, Phifertex​ works brilliantly as a handy fence screen mesh. It’s also an excellent solution for construction netting. Want some peace and quiet? When used as privacy fence fabric outdoors, Phifertex​ Designed Fabric can also shield your backyard from nosy neighbors! No matter what kind of project you’re planning, the Phifer Outdoor Fabric Visualizer gives you a chance to play with color, pattern and texture, using our sample images. You can try different combinations until you find your favorite, and get a preview of what the finished project might look in real life. Want to know more about Phifer’s multipurpose fabrics and which one is right for your project? Get in touch with us! If you have questions, we have the answers, and we’re delighted to weigh in with advice on choosing the perfect fabric for the job. We can also give you a hand if you need help sourcing your favorite fabrics by pointing you to one of our retailers, who has all the Phifer Designed Fabrics you need.